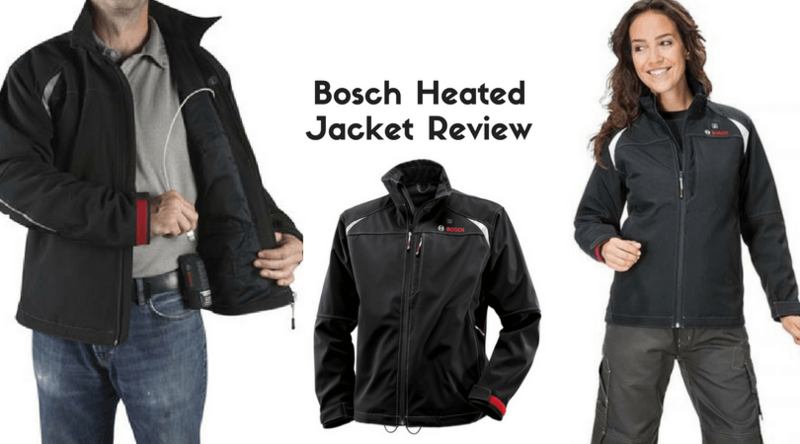 Heated jackets are specially designed for cold weathers. They are the best choices of the people who live in the cool areas. You can also wear it while playing in the snow or some motorcycle riding, skiing, biking, hiking, snowmobiling, trekking, and sometimes diving! The outdoor workers such as construction workers, carpenters, etc. can also use such jackets to protect their bodies from the cold wind & weather. There are several types of this kind of clothing. There are many options available in the market like; carbon tape heated trousers, heated jackets, heated gloves, etc. The minimum battery which can use on the jacket is about 5 Volt and some come with 7 and 12 Volts. 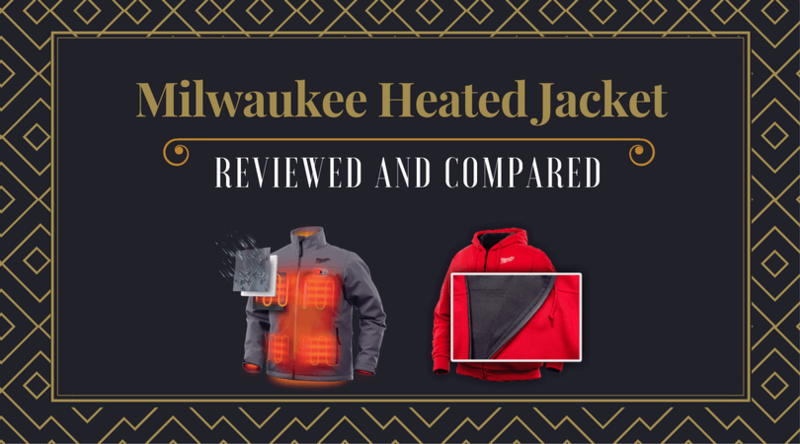 In this article, you can get some information regarding this kind of heated jackets, and of course, the Milwaukee heated jacket review. Milwaukee Electric Tool Corporation has been in the market since 1924. It is a well-known company of U.S.A. for its high-quality power tools. The parent company of Milwaukee is Techtronic Industries Co. Ltd., which owns many brands like Dirt Devil, Ryobi, Regina, etc. First of all, let’s talk about the ‘coolest’ warm jacket (i.e.) Milwaukee M12 jacket. It is a good looking cordless heated jacket with the high quality. It also includes 12-volt battery module and a charger. It is warmer to the upper chest and back. It is a coat which is much more than a simple liner. Milwaukee heated jacket is one of the coolest products of the company. It is good looking, so having a huge demand in the market. The original red color jacket is the most famous and highly sellable item in this category. Read further to know about the Milwaukee heated jackets. It has a very high quality and a comfortable outer layer which is soft and made from 95% polyester and 5% spandex. The spandex has been used in this product gives it the soft and flexible feel. The lining is superb. The outer part is water and wind resistant. It is not entirely waterproof though. It distributes heat to 3 body zones, which is an amazing quality. It also has the facility of pre-heat warming mode including 3 heat settings. There is a soft microfleece around the neck and trimmed down in the front. There is also an embroidered logo of Milwaukee. Overall, it looks outstanding. It also has built-in elastic micro-fiber separate sleeve cuffs. Plus, a large braided rope made with the nylon material to pull on all the zippers. So ultimately, it is a multi-layered soft shell jacket. There are many pockets too. One pocket on the left side at the upper chest and pockets on either sides. You can easily wash this jacket at home. Hand washing is recommended. You just need to remove the battery before washing. There is one rechargeable battery which fits in a particular pocket. This pocket is on the left side at the back, and the trim cords are inside the waistband hem. The wind comes from underneath. It also has easy touch heat controller. The quality of stitching as well as Milwaukee heated vest is also high. Stitching around the pockets is also strong. The jacket comes with the Milwaukee M12 battery module which is also used in the Milwaukee 3 in 1 heated jacket (Ripstop). It is a lithium-ion rechargeable battery of 12 Volts. It has 2 years of warranty. The charger of the battery can recharge it within 30 minutes. The warranty of this charger is 5 years. The battery fits into a holder. This holder is connected to the wires, and it is placed into a rear pocket specially made for it. The battery is larger than the other heated motorcycle jackets powered by such batteries. The battery with the holder weighs 240 grams. The length of the battery is 118 mm. The width of M12 is 50 mm. The life of the battery is up to 6 hours. It has a triangular shape and has the rounded edges. Sometimes, the battery does not fit in the pocket as it has a round barrel shape. So some part of the battery may look from the outside. It is also difficult to access the battery when you wear the jacket because of the small pocket size. Apart from these, there are no other disadvantages. There is a solution regarding the access to the battery. You do not need to access the battery after wearing the jacket as there is the on/off switch which is easy and unique. Push once, and your coat will go on the ‘high’ heat, and the button will go on a bright red color. Push again, and it will continue the ‘Medium’ heat where the button will light up white. Push one more time; then the ‘Low’ heat will come up with the blue light. Now again, if you push it, then the jacket will go back to the ‘High’ heat. And if you want to turn off the button, just hold it for 3 seconds, and that’s all. The lights and the heater both will be off completely. Concluding this article, it is surely recommended to buy Milwaukee heated jacket for the people who live in cool areas. If you work outside or you are a biker, swimmers or sports person, then don’t think twice and get this useful product as soon as possible. As per the Milwaukee heated jacket product specifications, the kit includes an M12 heated jacket with one lithium-ion battery, battery charger and its controller, and operating instructions guide. Go, Grab it now!! !